Quality is our standard; your satisfaction is our goal at C & S Incorporated. Established in 1937, we're your all-in-one auto service center, tire dealer, fuel delivery provider, and auto parts store. We sell and service retail tires, farm tires, commercial tires, and trailer tires for Portales, NM, Elida, NM, Dora, NM, Floyd, NM, and surrounding areas. We also offer 24-hour roadside assistance. We’re proud of our community ties and sponsors of Greyhound Athletics and Portales Rams Athletics. We're also supporters of NMCCH, NMBCH, Portales Rec Center, City League Sports, NM AG Expo, United Way of ENM, and other great organizations. C & S Incorporated is conveniently located at 300 West 1st St. in Portales, NM. We’re open Monday through Friday 7:00 AM to 5:30 PM and Saturday 7:00 AM to 12:00 PM. We have three fuel stations serving gas and diesel vehicles. Enter your vehicle information below to find the right tires for you! C & S Incorporated is a TIA-certified tire dealership with many types of tires available. We have passenger and light truck tires from major brands like MICHELIN®, Toyo, Yokohama, Kenda, Cooper, Goodyear, Hankook, and Mastercraft. We also have commercial tires from Double Coin, Synergy, Samson, and Bandag; farm tires from BKT, Goodyear, Titan, Deestone, and Samson; and trailer tires from Towstar, Synergy, Samson, and Radar. Do you need auto parts to handle your own project? Our CARQUEST auto parts store is open Monday through Friday 7:00 AM to 5:30 PM and Saturday 7:00 AM to 5:00 PM. 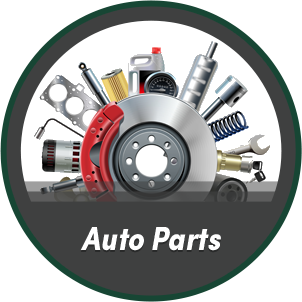 Choose from a wide selection of car and truck parts and accessories.